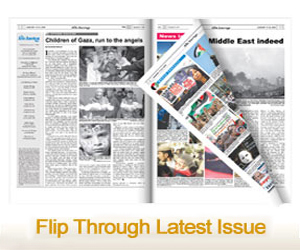 Subscribe to The Arab American News. The largest, oldest and most respected Arab American newspaper in the United States. The proof of our journalistic integrity is our thirty-five year history of award winning journalism. Private ownership and advertising revenue have allowed the newspaper to maintain an unwavering level of independence. This independent stance, along with our expert local, national and international political analyses, bilingual content and widespread complimentary distribution, account for our increasing success and popularity.